Another week is finished and it's been a disastrous one for research into a potential treatment for Alzheimer’s disease. 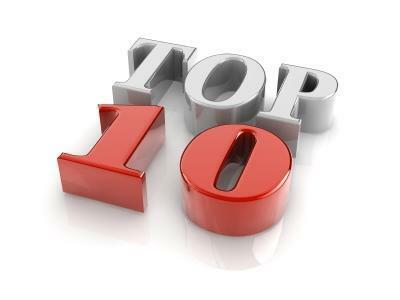 Two of our top ten stories are, unfortunately, regarding the failure of late-stage candidates for treatment that have been dropped and another where one of the most promising candidates has investors fearing that it, too, may be a dud. Here’s to hoping next week’s brings brighter news. MSD announced plans to invest in a new biotechnology facility in Dublin, which it claims will create 350 jobs in the Irish capital. Reversing its decision to reject the drug, NICE issued its final decision to recommend the use of Roche's Gazyvaro on the NHS. President Trump’s rhetoric leading up to his election had the pharmaceutical industry very worried but reforms to drug pricing published this week look like those fears were unfounded. Boehringer Ingelheim announced that it has halted development of its candidate BI 409306 in the treatment of Alzheimer’s, after it failed to hit its primary endpoints in Phase 2 studies. Researchers in Japan have achieved a notable success in a Phase 3 clinical trial to determine whether a new vaccine could be more effective than current treatments options in treating flu. Biogen made investors very nervous after it announced that it was choosing to add an additional 510 patients to its key trial into its Alzheimer’s medicine. Our latest feature looking at the process of implementing serialisation a year ahead of the European deadline. Sanofi revealed that it agreed a deal with SK Chemicals, a South Korean vaccine manufacturer, to license its cell culture technology in a $155 million deal. MSD has halted development of the drug Verubecestat after it could not present enough potential efficacy in prodromal forms of the condition to warrant further study.